Transforming suffering into sainthood, Edith Stein lived in the complexities of modern political situations with the simplicity of one who is confident in God's ultimate reliability. 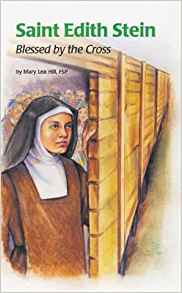 A Jewish convert to the Catholic faith, Edith became a Carmelite nun. But with the rise of the Nazis, Edith was deported to the Auschwitz concentration camp due to her Jewish heritage. This story of prejudice reveals that God's loving presence brings courage, strength, and peace.